Moms want MORE. So, we are at it again - MORE Momversation, MORE Keeping it Simple ideas, MORE giveaways and so much MORE fun. Don't miss any- MORE episodes of 24/7 MOMS tune in Tuesday night 7pm PST or 9pm PST at www.247moms.com ( TV on your computer). - Mandy from Gourmet Mom On The Go. Put your kids to bed - Grab a hot cup of your favorite beverage - Surf over to channel www.247moms.com on your computer and join us. Disney FamilyFun understands that the evening meal can be the best part of a family’s day — and the busiest. That’s why they have created the special collector’s issue, Dinnertime!. newsstands on Tuesday, May 4. And because family meals aren’t just about the food, Dinnertime! also serves up a generous helping of fun: conversation starter games, dinner-hour crafts, fun at the table, and more! US entries only and one entry per person. Winner will be chosen on June 13, 2010. *We received a complimentary copy of DinnerTime for review no financial compensation was received. FREE SUMMER FUN: This could be the best summer yet. Fun, Free Apple Camp where kids learn how to make great stuff on a mac. Nothing beats Apple Camp when it comes to a fun summer activity for your kids. In free workshops at the Apple Store, kids learn how to do cool stuff on a Mac using iLife and iWork applications. They’ll make a movie, compose a song, create a photo book, and learn how to present everything to an audience. When Camp is over, they’ll bring home a DVD of the projects they made, along with skills and ideas to create even more. All workshops are recommended for ages 8 to 12. Deal Of The Day - One of my favorite magazines that I have been reading for over 10 years is Family Fun. It is full of great ideas, recipes and articles on creating Family Fun in your home. Click here to order you 1 year subscription TODAY! The BIG question I think just about every mom has is : How Do I get my kids to eat healthy? One solution I have found is cooking with Uncle Ben’s Whole Grain White Rice, it looks and tastes like white rice but has the benefits of whole grains with the added benefit of being simple to prepare. Here is one yummy meal that is simple to prepare and kid approved. 2. Add oil to large sauté pan and heat over medium high heat. 3. Add chicken, broccoli and soy sauce to pan and stir-fry until chicken is cooked. 4. Add mandarin oranges with half the syrup. Cook another 2 minutes or until sauce thickens. 5. Serve stir-fry mixture over rice. Stop by Uncle Ben's website for MORE yummy and healthy recipes your kids will love. - Uncle Ben's Whole Grain White Rice Long Grain. Q: If you could meet one Historic person , who would you want to meet? Q: What vehicle is spelled the same backwards and forwards? WIN: 24/7 MOMS and My Busy Kit are giving away one kit. Click here to enter. 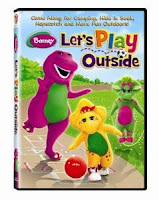 WIN: 24/7 MOMS, Lionsgate and HIT Entertainment are giving away one Barney™: Let’s Play Outside springs onto DVD. Click here to enter. WIN: 24/7 MOMS , Mrs. Paul’s and Van de Kamp’s are giving away 4 coupons to one mom for Free frozen seafood items ( each coupon is good for one box maximum vlue $6.99) Click here to enter. WIN: 24/7 MOMS and Sarah Hickman are givng away one copy of Big Bird, Little Bird, DVD. Click here to enter. WIN: 24/7 MOMS and newkideo.com are giving away one copy of HE’S GOT THE WHOLE WORLD IN HIS HANDS DVD. Click here to enter. I came across this YUMMY recipe and have added it to my MUST try with the kids this summer. An easy recipe to use when teaching kids to cook as well. In a saucepan, bring 1 cup water and sugar to a boil, stirring frequently. Boil for 1 minute or until sugar is dissolved. Remove from the heat; stir in orange juice concentrate, lemon juice and remaining water. Transfer to a freezer-proof bowl. Cover and freeze until firm. Remove from the freezer. Beat until blended. Beat in cream. Cover and return to freezer. Remove from the freezer 20 minutes before serving. Yield: 10-12 servings. What is your favorite Sweet Summer recipe to make? Q:Where does your first and last name come from? - Inventory your supplies, make a list of what you need and shop before summer begins. 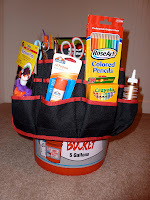 - Create a Summer craft kit filled with my 24 must haves for a special end of the school year gift? 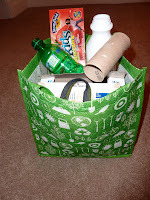 - Take your kids with you to pick up supplies giving them a budget that they can spend. What craft supplies are on your Must Have list? Where is my glue? Where are my crayons? Who used all the scotch tape? are those familiar questions you hear from your children when they want to create and can't find their supplies? Take a few minute and create an organized system for your child's craft supplies with one of our 6 keep it organized ideas and enjoy a summer of creative fun with no mad searches for misplaced items. This will also help your children to clean up their messes with ease. Purchase a hanging shoe organizer with lots of pockets to store your childs craft supplies in. You can then hang this over their bedroom or closet door or your office door for quick access and easy cleanup. Use various sizes of jars to sort, store and organize your kids art supplies. You can then display these on a shelf for easy access. Use a household cleaning caddy to store and organize your child's craft supplies. They can easily tote this around the house as well as keep their things organized. Use a large empty and clean paint bucket along with a purchased tool holder that is designed to attach to paint buckets. You can find thees at your local hardware stores. 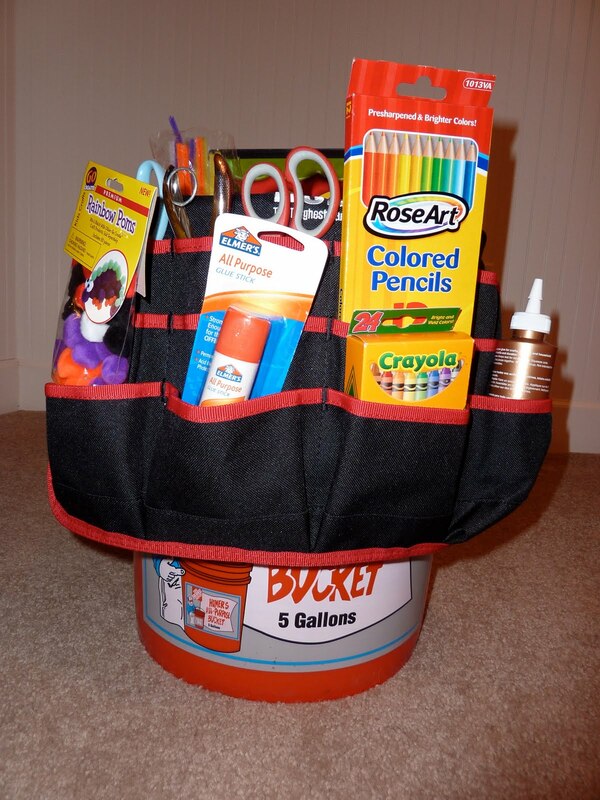 You can then place the larger items such as paper into the center of the bucket and then store all the craft items such as crayons, scissors and glue in the outside pockets. This is a fun craft organization system for boys as well and is easily stored in a closet. A simple desk top craft organizer is a set of plastic drawers. These come in a variety of sizes depending on the amount of supplies you want to organize and store. 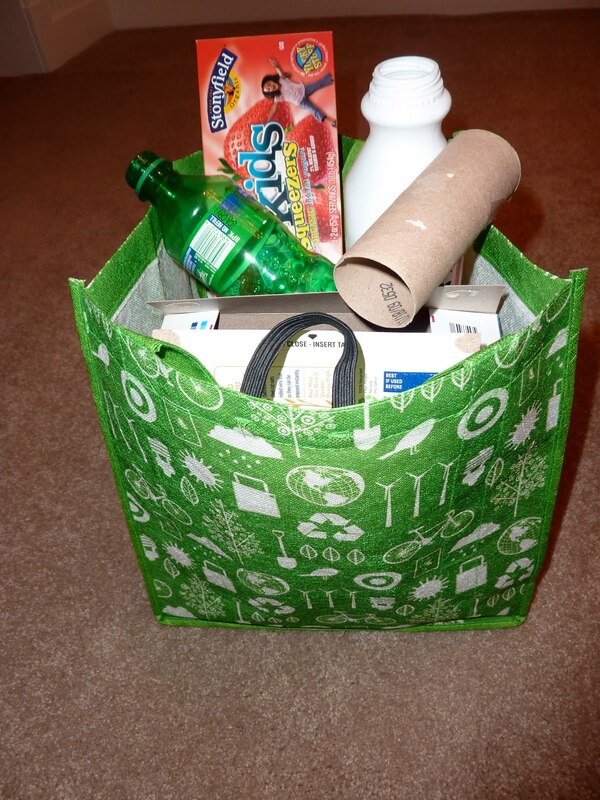 Use a re-use able bag to collect the recyclable supplies in. Your kids can then create trash into treasures. How do you organize your kids craft supplies? Here are some "thrifty" summer travel tips - whether you're taking a week-long vacation this summer, doing a "staycation" around your area, or just going on several day excursions throughout the summer. Do Your Research - Start planning as soon as you can, whether it be for a short weekend trip or a week-long trip. The sooner you start planning, the more opportunities you'll find for discounts. Facebook Pages - Try the "Discover" pages. Ex: Discover Atlanta, Discover New York; or "365 Things to do in Seattle" (or you name the town). You'll find not only the popular sights to see, but also readers will provide their favorite off-the-beaten path places to visit. Make this a family affair - get your kids involved in the planning & deciding what they'd like to do on vacation. CityPass.com - They offer 5-6 top sightseeing sights in a package deal which is up to 50% off admission prices. Valid for 9 days (14 days in Southern CA). Decide whether this would be a good deal for your family or not - how many of the places were you wanting to go to? Or is it a better deal to look for individual discounts? Websites - Check out the specific websites for the attractions, sporting events, museums, hotels, & more. May have web-only specialsorspecial discount/free days (ex: Museums often offer a FREE day 1 day or night/month. Also, sign up for E-Newsletters to be notified of special promotions, discounts & more. Reciprocal Membership Programs at museums, zoos, science centers - If you have an annual membership to your local museum, zoo,science center - check to see if they are part of a Reciprocal Membership program where you can get FREE admission to zoos, aquariums & more around the country. Go on the website or call them to find out. Military Discounts - Blue Star Museum Program - Free admission for active-duty military & their families to over 600 museums nationwide this summer (Memorial Day-Labor Day 2010); Also, make sure to ask about military discounts anywhere you go. National Park Pass - America the Beautiful annual pass - $80 for up to 4 adults & kids 16 & under are free. Good deal if you'll be going to a number of parks throughout this year. Save $$ on food to save up for a few special meals or put the money you save towards more fun attractions & events! Cooler in the car - Bring a big cooler if traveling by car. Pack a portable backpack cooler or get a styrofoam cooler if traveling by air to your destination. Bring lunch meat, peanut butter & jelly, bread, cheese sticks, fruit, juice boxes. Don't forget wipes & napkins! Stop at rest stops versus convenience stores - means less impulse-buying! Choose hotels with free breakfast or eat breakfast in your room. Bring cereal & buy milk at the store-use with paper cups. Or bring instant oatmeal & use the coffee pot for water. KOA campgrounds - tent & RV camping, cabins, lodges. Often offer pools, playgrounds, planned activities for kids. Check out the the KOA website under the "Hot Deals" section. And consider the Rewards card for $24/yr - earn points towards free stays. Cultivating a creative child is oddly similar to gardening. You heartily prepare your soil, sprinkle some seeds, choose your tools, tend with love, and cross your fingers for a bountiful harvest. The difference lies in the fact that for many, a backyard garden is a labor of love. Oh, if that could only be the case for creativity. resources. We can expect the worlds population of approximately 6 billion to become 12 billion by 2054 if the current rate of growth continues. Every ounce of innovation, problem-solving, and divergent thinking will be required to bear this load. The one right answer approach (think: children spending the day shading ovals with number 2 pencils) is not sufficient to tackle these grave, global issues. One May 10, 2010, The New York Times proclaimed The Battle Against Aids is Failing, while an estimated 3.9 million gallons of oil has spewed into the Gulf since the April 20 explosion. We need citizens with big ideas here. About Clementine Art Think Outside the Box, Color Outside the Lines Clementine Art was founded in 2008 by Diana Mercer, a former teacher with over 20 years of experience in the field of education, arts education, and child development. Diana created Clementine Art to encourage open-ended art explorations for children. 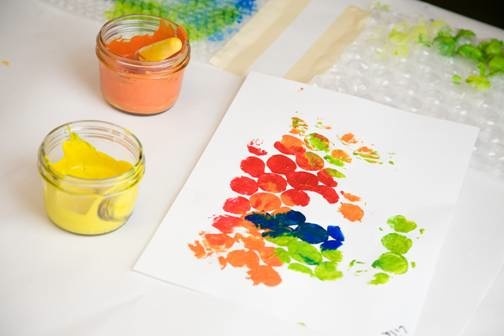 The process of creating art is a powerful developmental tool for children, and Clementine Art products encourage children to dream, imagine, experiment, create, problem-solve, and above all, express themselves. Explains Diana: Real art is about creating. Early childhood educators know that the process of creating art is just as important to a childs development as the outcome. I wanted to create products that not only engaged children in an open-ended creative pr ocess, but that could also become an everyday part of a healthy and creative lifestyle. Clementine Art produces professional quality, naturally non-toxic art supplies for children using only the purest ingredients. Clementine Art uses ingredients from the earth and our products are colored with vegetable, plant and mineral pigments instead of artificial dyes, providing an innovative solution to chemically laden, artificially colored art supplies. WIN: 24/7 MOMS and Clementine Art are giving one set of their paints. *We received a complimentary set of Clementine paint for review no financial compensation was received. This weekend there are some amazing deals from Gap to Tom Shoes.